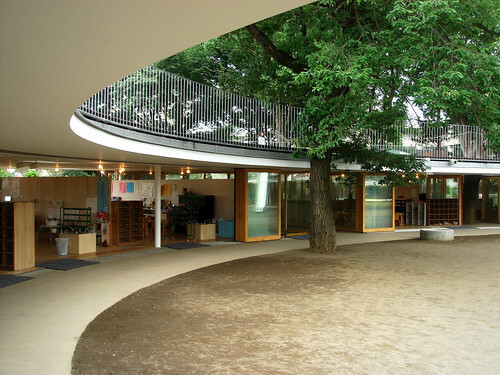 Fuji Kindergarten (aka The Roof House) Tachikawa, Tokyo, Japan, is perhaps World's Lowest Height Building of modern era. 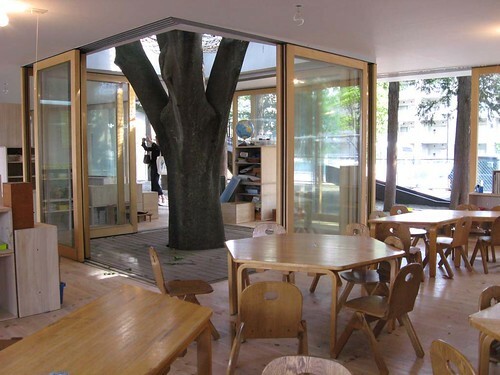 With the kids in mind, the designers, Kashiwa Sato, Creative Director and Tezuka Architects, have kept the ceiling of kindergarten mere 2.1 metres (~6' 10"). 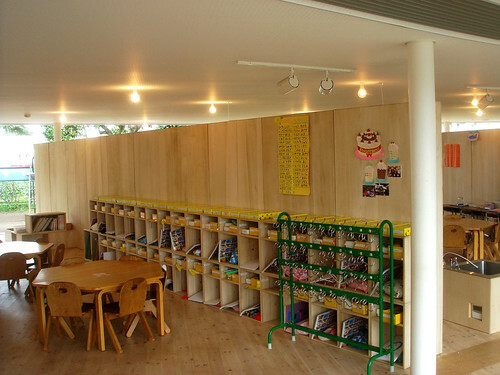 The ceiling may be low but the kindergarten is reportedly Japan's largest single kindergarten with about 530 students. The building which is shaped like a giant halo, has no inner walls, no dead ends, no outer walls. Inside space has been partitioned by racks and full sized sliding glass replaces outer walls on the inner and outer rings. The no-barrier concept not only allows total freedom to kids to move and mingle around but also provides free access to the inner and outer playgrounds. Even the roof is easily accessible and has slides. The inside furniture/furnishings have been scaled down to match the size of the kids. 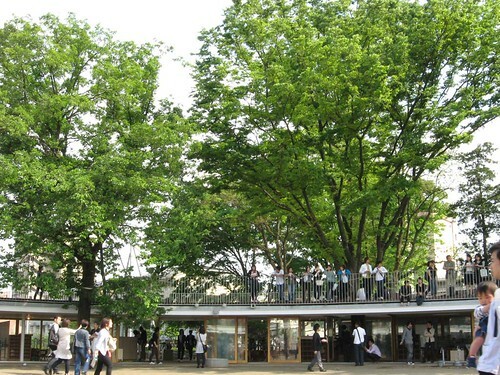 The building won 2008 Architectural Institution of Japan Prize.